The following instructions assume that you have exported the PBA Override file from another zone and want to use it to create a response for a device from that zone. The PBA Override file contains the override key from the other zone, which is needed to create the correct response for that zone’s devices. In the Request ID section, specify the request ID sequence supplied to you by the user. In the Challenge section, specify the challenge sequence supplied to you by the user. In the Overrides Allowed section, specify the number of times you want to allow the user to boot the device without providing PBA authentication. 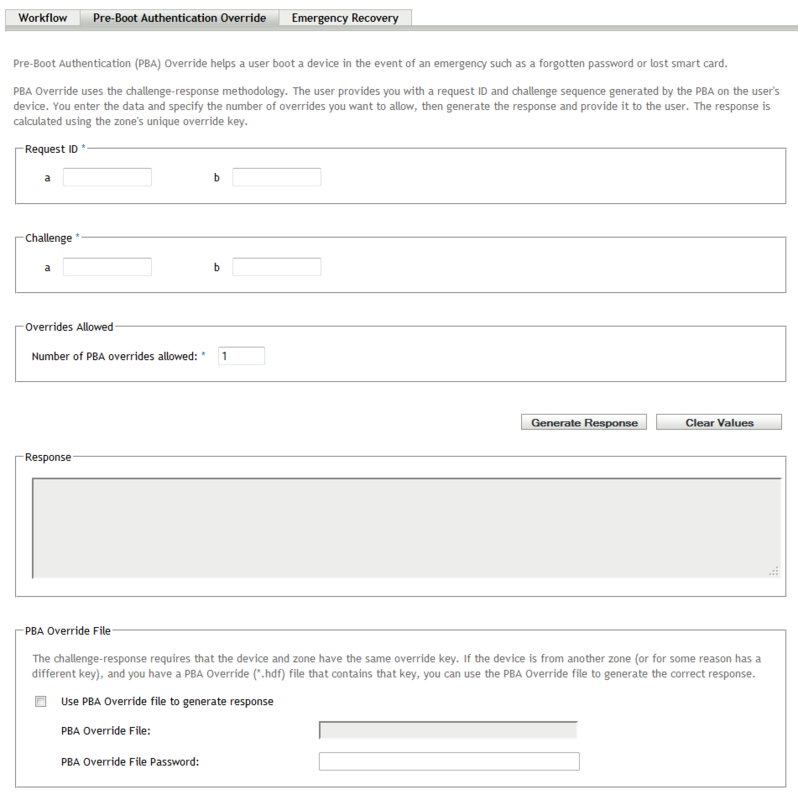 In the PBA Override File section, select the Use PBA Override file to generate response option, select the PBA Override (*.hdf) file, then specify the password for the file.